What can you do if your child is a target of bullies? If you know there is a problem, the first step is to encourage your child to admit to it. They may be too scared or embarrassed to acknowledge the issue and could even deny it. Research on bullying clearly shows that victims are reluctant to report a bullying incident. Often they will lie about being bullied or blame themselves. Many victims feel there is something wrong with them and feel worthless and insecure. They may be threatened to silence and secrecy or develop a fear of what might happen if they do tell someone. Children often feel uncomfortable about reporting an issue but need to realise that this is the responsible way to break the cycle. However, they need to know that they can trust you and turn to you for help or assistance; also, that the issue will be taken seriously and handled with sensitivity. Talking to trusted people is the first step towards solving the problem. Sometimes, they may choose to try to deal with the problem themselves first and rather that you didn’t become involved. Regardless of the case, you can help them with strategies to deal with bullying. First of all, it’s important to talk with and listen to what your child has to say. Becoming emotional or giving a lecture on how bad you think bullying is, won’t help the situation. We all want to protect our children, but we need to remember that this is not our battle. We won’t always be by our child’s side to protect and help them, and it is important that they learn how to solve their own problems. By overreacting, interfering or becoming involved, we can actually worsen the situation. In most cases, it’s best to listen, stay neutral and offer some non-emotional responses about bullying behaviours. Bullies like to take advantage of their victims when they’re alone. They often ignore children who have even 1 or 2 friends with them as they feel less powerful so try to encourage your child to stay in a group. Assertiveness – Encourage your child to speak up! In this situation, many micro skills are essential for children to learn to be assertive. These are the micro skills that are necessary for children to learn to display confidence and stay calm in a difficult situation. Encourage your child to practice speaking bravely in front of a mirror, using calm facial features and friendly eyes. You can also practice role-playing this scenario with your child at home until they feel confident enough to act on their own by firmly telling the bully to stop bullying them. Using their own words can empower your child to have some control of the situation. This also encourages them to stand up for themselves before asking for help from an adult. If your child can’t manage this, then they should tell someone who can. Asking a teacher or carer for assistance is another essential assertive strategy for children to use in an inappropriate bullying situation. Bullies love an audience, and it is very important to them to have onlookers as it gives them a feeling of power. If your child can make a clever (but not a nasty) reply or retort, the audience will start to take the victim’s side, and this will undermine the bully’s power and support. Children who excel at something, whether it’s sports, music, art, dance or something else are less likely to become a victim. Having a talent in any area and having that talent acknowledged by parents, friends, and teachers will help to build much stronger self-esteem. This can often provide the extra empowerment a child needs to deal with bullies and bullying behaviour. The message of not interfering with how your child resolves a bullying situation doesn’t mean you shouldn’t approach another adult. If the problem is ongoing, the teacher should definitely be notified. Your child’s teacher may not even know that there is a problem and unless they’re told, they can’t help. Regardless of age, all bullies are the same, and unless someone tells them to stop, they believe what they’re doing is okay and will simply continue. You may also find the opportunity to discuss the situation with the child’s mum or dad. Be sure that the children involved aren’t present and avoid blame. 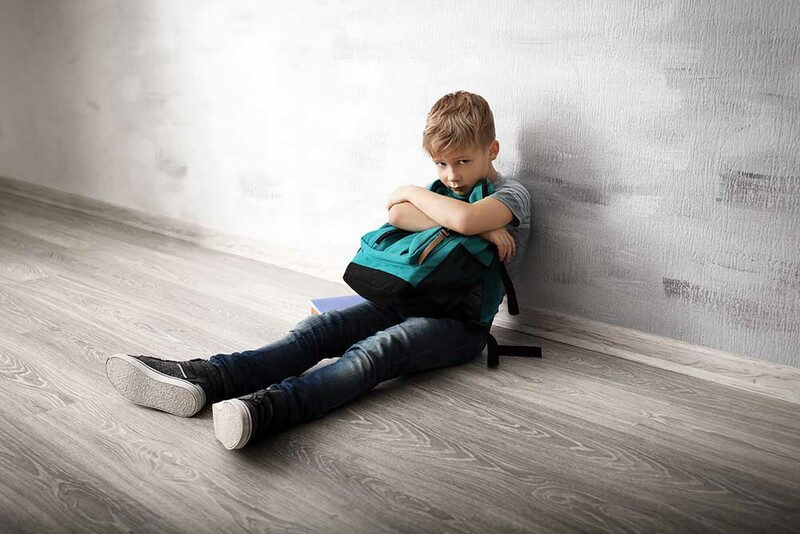 In this case, you may even learn a different perspective and find that there could be behaviours that your child has been exhibiting that have contributed to the bullying situation. The key here is to help resolve the issue, so don’t hesitate to speak with a classroom teacher or school counsellor. If your child is older, it’s best to inform them that you plan to talk with someone at their school regarding the situation but that it will be kept confidential. Although it might be tempting, never encourage your child to bully back or to become a bully to others. Parents must teach their children to rise above bullying situations and to avoid the temptation to become a bully themselves. Studies have shown that children who are the frequent victims of bullies often become bullied as adults as well. You can help to stop this cycle now and ensure that your child is bullied no more. Everyone deserves to be treated with respect and be bully-free!! Katrina Kahler writes fiction books for children. One of her most popular is the best-selling series and winner of several Amazon All Star awards – Julia Jones’ Diary, suitable for children from 8 to 12 years. These books deal with the emotional traumas that young girls experience, including friendship issues and bullying. Many of Katrina’s stories teach kids to be more confident and positive. They also teach the strategies that girls and boys can use to deal with social problems at school. If you are an Amazon Kindle Unlimited subscriber, you can download all the ebook versions for FREE!